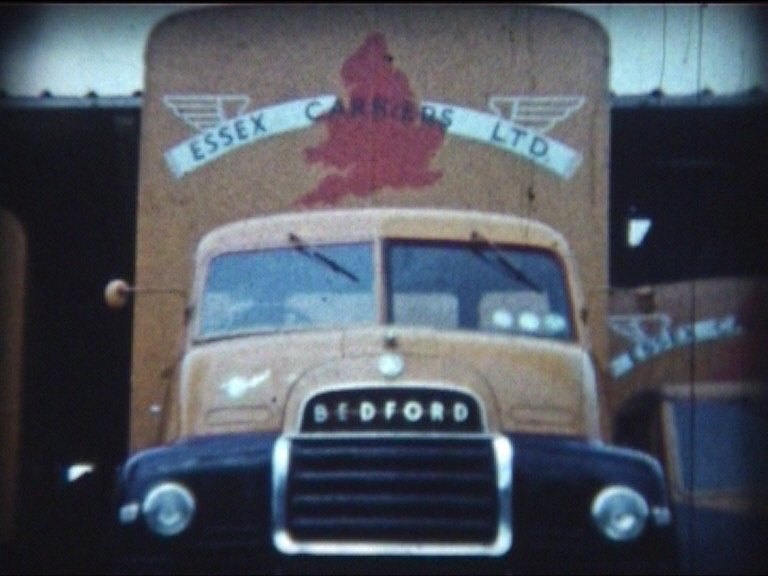 Essex Carriers was a Benfleet based road haulage company. Their depot was at Tarpots on the corner of the A13 London Road and Rushbottom Lane. 1. You Bought It – We Brought It. Shows Essex Carriers at work and some of the varied loads that they transported; from Heinz products, Libby’s milk and Johnson’s pledge polish to enormous pre-assembled building sections and large diggers. Essex Carriers entered decorated vehicles in the carnival for a number of years. They often used one of their heavy lifting vehicles as the basis of a float. One shown in the video is their ‘flying cup’, which looks most precarious – what would Health & Safety have to say about that if somebody tried it now? The company also owned Mrs Frequently, a 1930 Albion Merryweather fire engine, which was decorated and entered in the carnival. Essex Carriers participated in Cricket and Football matches. The football match shown took place on the playing field opposite King John School. If anybody recognises the venue for the cricket match please let us know where it is by adding a comment at the bottom of the page. Drivers from Essex Carriers took part in the Southend round of the Lorry Driver of the Year competition. We would like to thank Michael Brittain for having the foresight to capture all the images on film, to be rediscovered over 50 years later! and Bob Barber for making the digitised film available to put on the website.